By TLex This surprising trio of custom Rolex Sea-Dweller DEEPSEAs is the result of a corroborative effort that came about after a chance encounter on the small private Caribbean island of Mustique between British artist Marc Quinn and George Bamford of the BAMFORD Watch Department. 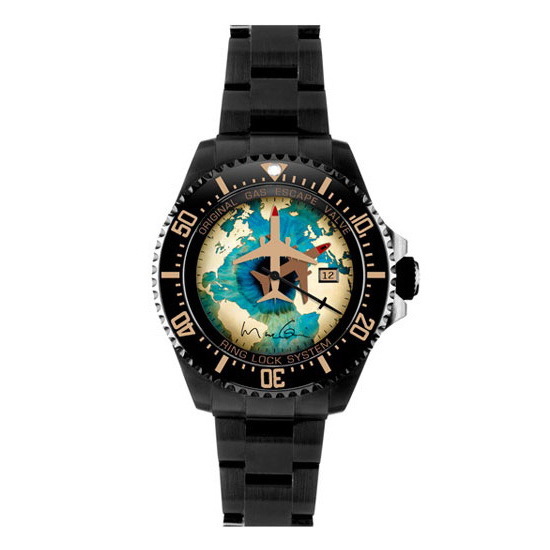 The modernist's DEEPSEA collection combines Bamford's signature Military Grade Titanium matte black coating with Marc Quinn's globe design, superimposed human iris and jet airplanes used for both the hour and minute hands. Each of watch's dial color theme has been echoed in the bezel markings. 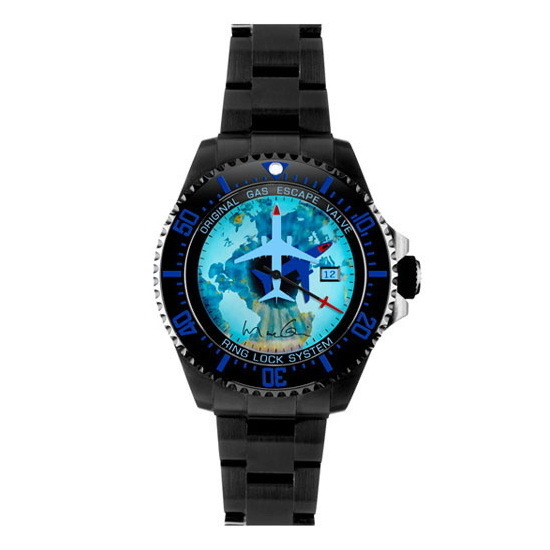 The three watches: the Low-, Mid-, and High-Altitude DEEPSEAs are presented in a custom 'black box' flight recorder-type case that will be available in-store from London's Dover Street Market starting Thursday, June 13th.